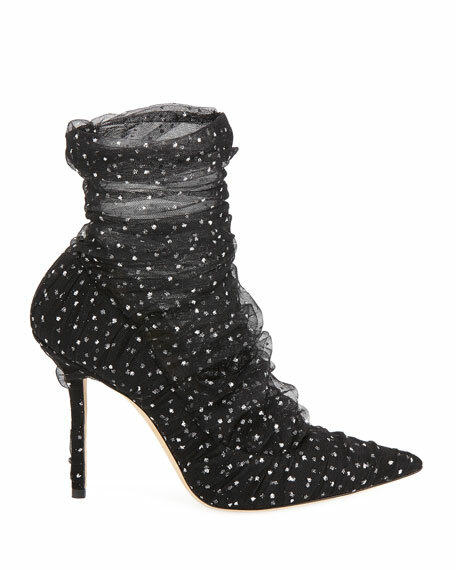 Jimmy Choo polka-dotted ruched tulle booties. "Lavish" is made in Italy. 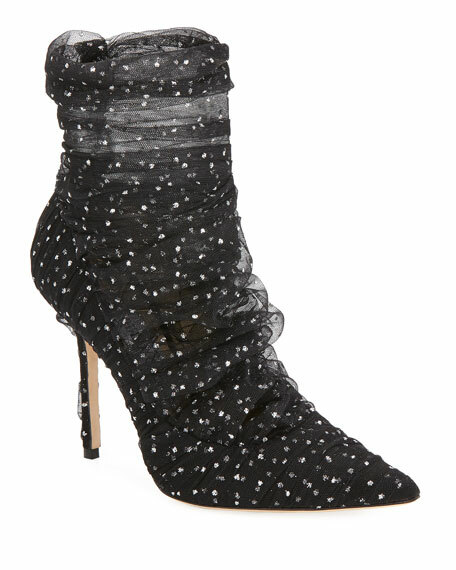 Alexandre Birman leather bootie with PVC slit features. 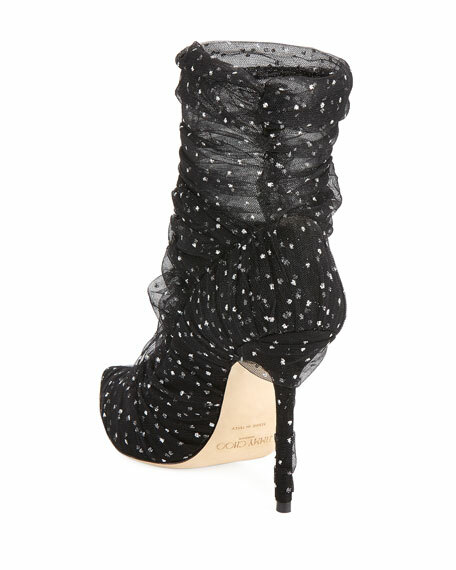 4" covered stiletto heel. Pointed toe. Back zip eases dress. Leather lining. Smooth outsole. "Sommer" is made in Brazil. 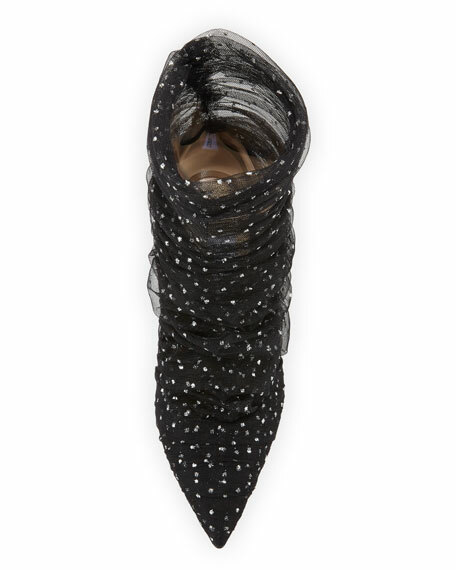 Alexandre Birman metallic fabric bootie with cutout PVC trim. 4" covered stiletto heel. Pointed toe. Back zip eases dress. Leather lining and sole. "Sommer" is made in Brazil. 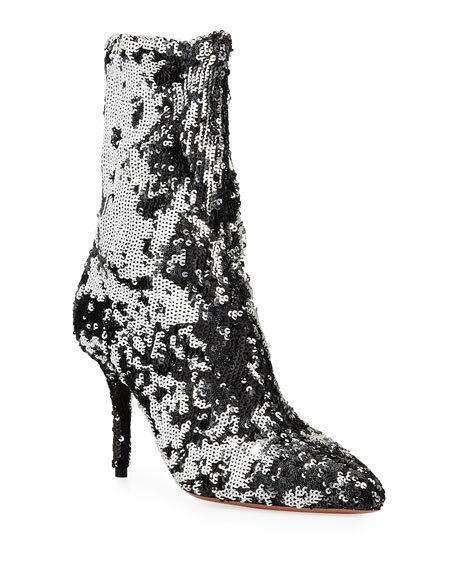 Aquazzura "Costes" over-the-knee boot in allover sequins. 3.3" covered stiletto heel. Almond toe. High notched collar. Pull-on style. Leather lining and sole. Made in Italy. 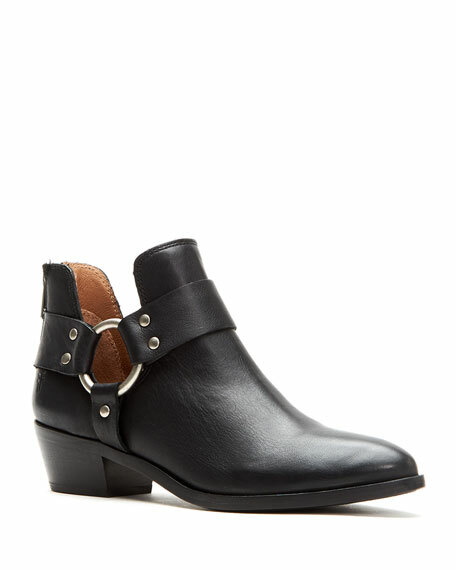 Frye leather harness bootie with metal ring hardware. 1.5" stacked heel. Almond toe. Deep notched sides. Back zip eases dress. Leather lining.